One Week, One Pattern is an online challenge encouraging makers to wear one pattern for one whole week. You can wear the same garment for the entire week, or if you have multiples of a certain pattern (like I do) you can roll them all out over the course of the week. 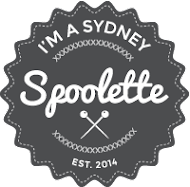 I have a few patterns that I've made multiple times (as in, enough times to wear a different one every day for a week). 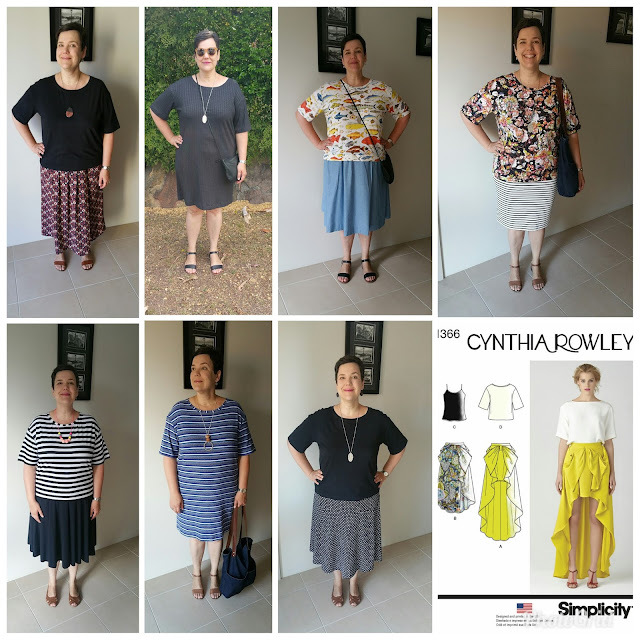 My options were the Mable Skirt, Ebony Tee or Simplicity 1366. In the end I went with Simplicity 1366 as I've made both dress and top versions, so it would give me a bit of variety. I also have a jumper and two other dresses not shown here - the week of #OWOP turned out to be SO HOT. Blergh. 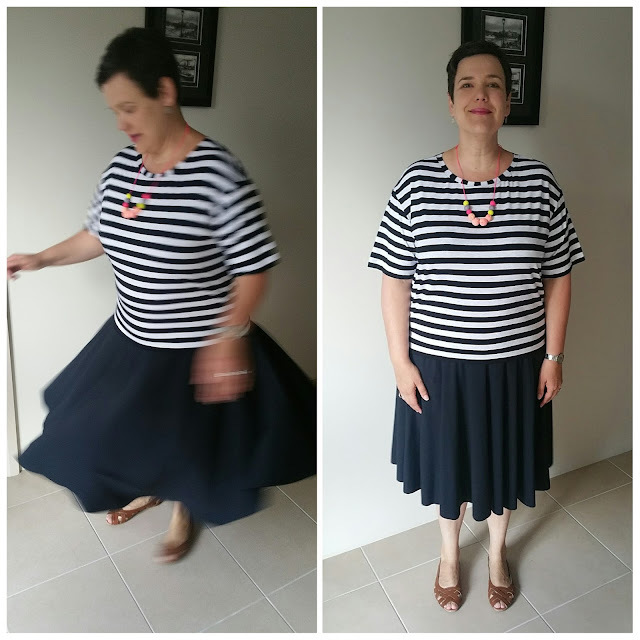 Because it was so hot I decided that another t-shirt wouldn't go astray so I sew this striped version during the challenge week. You can see some pulling on the neckband on the right-hand side of the right photo - this is where I pulled the neckband just a little too tight - ugh. I also took the hem down last night as the top was a little short and it'll get more wear at the longer length.